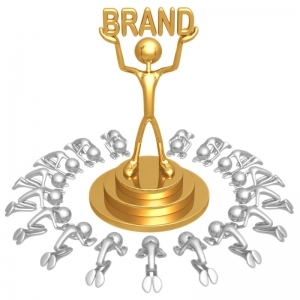 Every individual has a personal brand – whether they realise it or not. And that brand can have, indeed it “should have”, influence. We recognise the power and importance of the personal branding in athletes, celebrities and politicians, and yet, all too often it is the most under-rated contributor to commercial success for professional advisers. By that I mean its’ importance under-rated by the professionals themselves. The world today is awash with people who are famous simply for being famous, and who earn what appears to be significant amounts of money simply for being well known and being able to get pictures of them selves on TV or social media. It is difficult to see what it is they create, build or produce that has commercial value, and yet, their individual brands are enormously valuable and influential. That aspect is SO important that is in fact their entire business model: get well known and get a large fanbase and THEN the money rolls in from reality television show appearances, endorsements, becoming “brand ambassadors” and so forth. In other words, they are basically not worth much at all commercially until they develope a personal brand with influence. So how is it that professional advisers who do create value through the delivery of good counsel and pragmatic advice often struggle to create personal brands that have significant influence? Professionals tend to be very strong on the “what you know“. Technically very competent, if not positively drowning in knowledge. So that element is rarely the problem in itself. To be fair though, professional advisers are not always good at being able to demonstrate the extent of what they know in easy to digest forms for customers. It is an area where, if you can find ways to demonstrate and easily convey the depth of “what you know”, it will have a positive impact on your personal brand. Generally professional advisers tend to be stronger than average in “who you know” too (at least in terms of quantity). Most advisers operate well beyond the levels established as being most likely for human beings on average by Robin Dunbar in 1992. He postulated that typically humans will remember names, faces and details about 150 or so people. I have seen other experts say that typically a person cannot really remember more than about 350 or people in any detail. Typical successful advisers will remember names & faces and details of over 1,000 people generally, and sometimes it is many thousands. But….while professionals are often exceptional at remembering vast quantities of people and maintaining decent relationships with them, that is not the best sort of “who you know” when it comes to building an influential brand. A relatively small number of highly influential people will often be far more valuable in terms of extending your personal brand influence. The ideal strategy in trying to build a strong personal brand is to do both of course: have great positioning with other influential people and an extensive network of contacts of your own. The third element is the one where most professionals could rapidly extend their brand influence. “What the market believes about you” is not necessarily true or logical. It may not even be fair or just. It is just what they believe to be true. A key part of building a great personal brand is providing what you want the market to have in the way of information, image, language, and everything else that can create a perception of you. That is, give them what you want them to believe to be true. I recognize that there is a danger in simplifying personal branding this way, and running a very real risk of being seen to suggest “spin” or outright fabrication is the solution. That is not the case at all, and I’d suggest that simply putting your own spin on your image will rarely stand scrutiny for long. And when the spin-doctoring unravels, so too does trust in your brand. Great personal branding for professionals must be able to stand scrutiny and market testing by customers. What you convey to the market about yourself must be real. In building that market perception, or belief, about you and what you stand for you can deliver what you believe matters most instead of leaving it for customers to work out for themselves. 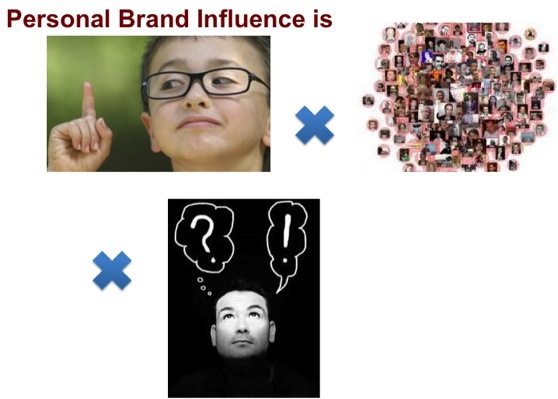 To extend the influence of your personal brand does take ongoing work in all three areas. Every improvement in what you know, and the ability to demonstrate that, extends brand influence. Every connection and strengthening of networks and relationships extends brand influence. Every incremental addition to your reputation and the public perception extends brand influence. You do have to mindful too though, that everything you say, do and convey either adds to, or detracts from, your brand. It is not guaranteed to perpetually head in a positive direction – unless you actively manage it.